The cruise up Frederick Sound from Portage Bay to Pybus Bay is about 33 nautical miles. The wind was mostly calm (10 knots or so) with just the slightest chop. The sun was even out for a bit! We were hoping for some humpbacks today. 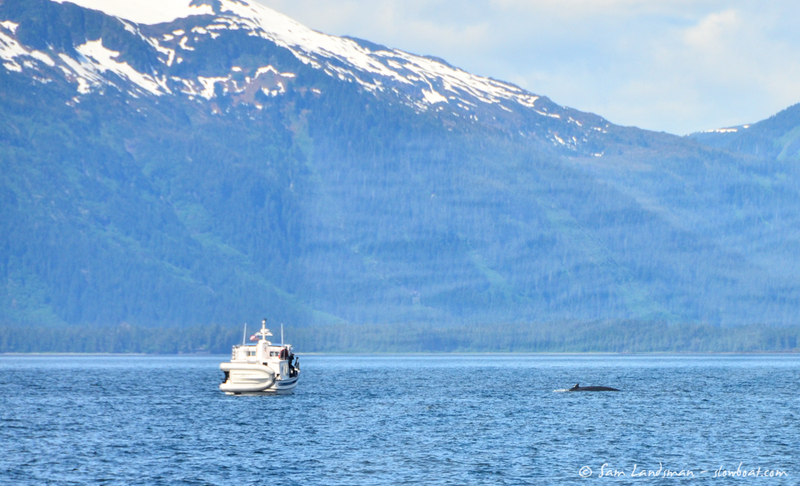 Frederick Sound, especially around the Brothers Islands, is usually rich with whales. Today did not disappoint. We saw about a dozen of them, spread out over a pretty large area. And then, there was this guy who popped up suddenly…about 20ft from Airship. !!!! We shut the boat down and let it pass (underneath appears to be the path it took). Pybus Bay is spectacular when it’s clear. Jagged peaks form a north-facing bowl that holds snow late into summer. Lucky for us, the weather cooperated and we were treated to this beautiful view. Some of us set crab traps and then went looking for brown bears. Dave and Bill spotted three on the shore, but they took off before anyone could get a picture. A little later on though, we spotted a big sow and two cubs up by a waterfall at the head of the cove. It was pretty cute…the cubs were playing in the snow while mama munched on the hillside grass. The cubs at once came running back, appeared to check in with mom, and then scampered back out for more playing in the snow. Dinner was “grill night” hosted on Orca Star…another fun get-together with the group! 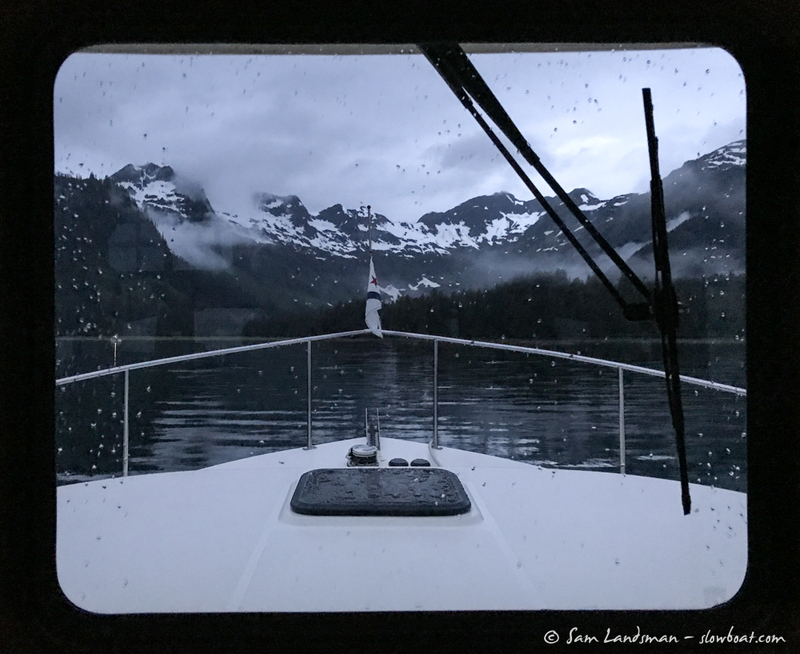 Midway through dinner, a squall blew through the bay and suddenly it was pouring rain and the wind was gusting to nearly 30 knots or so. Crazy weather!